Island hopping Dalmatia from 597,- € p.P. This trip is ideally suited for people who are interested in culture and history. It allows you to individually explore the country, landscape and inhabitants. You will arrive at the airport of Split and be transferred to a 4* hotel. The day starts with breakfast in the hotel. You are free to spend the rest of the morning as you please. 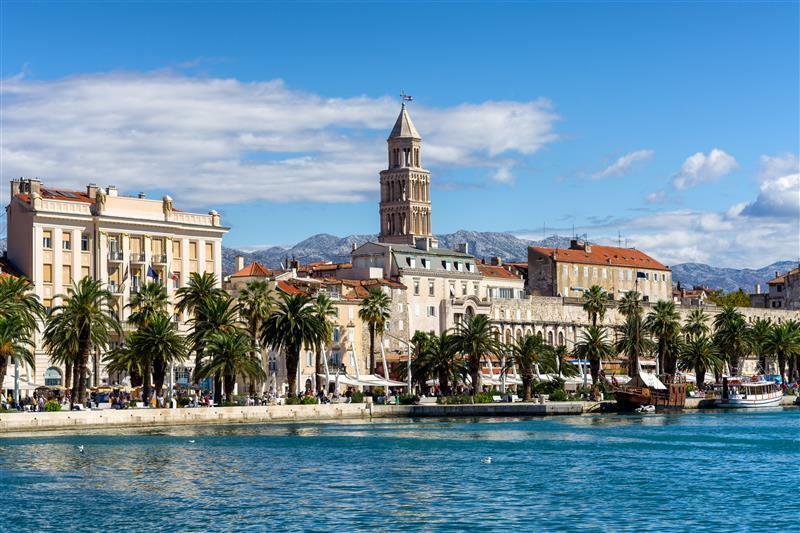 Explore the terrific old town of Split with its charming architecture, historic and cultural sights such as the Dioclatian Palace. 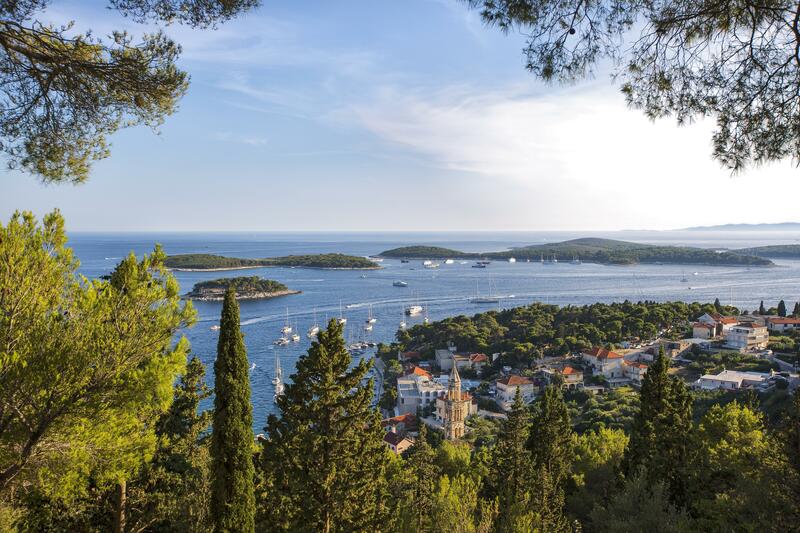 Afterwards you will go to the beautiful island Hvar by ferry or catamaran where you will spend the night in a 4* hotel. Today you can spend the whole day according to your individual wishes. Hvar Town is famous for its unique cultural and historic monuments and is an important tourist destination with decades-old traditions. The temperate climate, lots of sun, natural beauties and a great culinary diversity, as well as countless sports and leisure activities offer much variety and fun. The morning can again be flexibly planned. In the afternoon the transfer to the next destination, the wonderful island Korcula will take place starting from the harbour of Hvar. Arrival will be towards evening. You will be accommodated in a nice 4* hotel. We recommend you to begin this day with a tour through the old town of Korcula, the birthplace of famous Marco Polo. Discover narrow streets, beautiful churches and impressive palaces in one of the best preserved cities in the Mediterranean. In the early afternoon you will move on to Dubrovnik. Accommodation here will take place in a lovely 3* hotel. 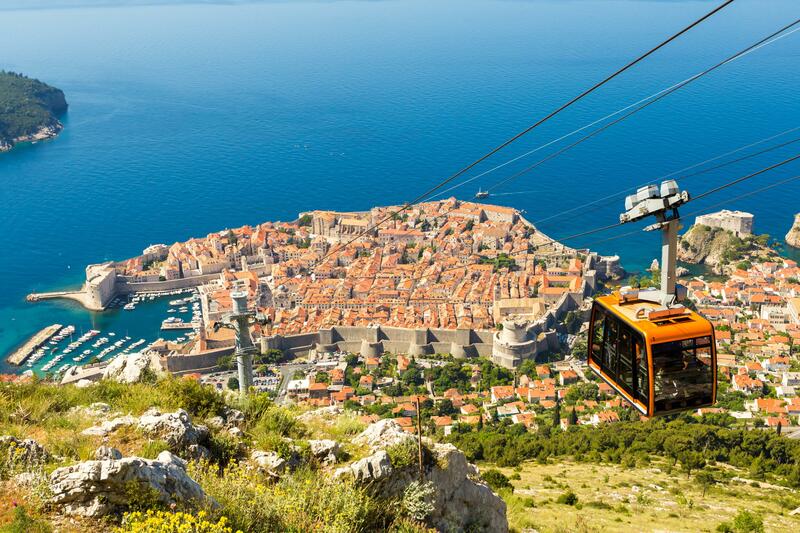 You should use this day for a sightseeing tour in Dubrovnik. Explore the breathtaking old town, which is a World Heritage Sie under UNESCO protection, and its famous 1,940 m long city wall. Do not miss the chance to visit the Srd hill by cableway to enjoy a tremendous panoramic view. From there above you can oversee the whole old town of Dubrovnik and the numerous island off the coast, as well as the magnificent coastline. We recommend you to spend this day on the nearby Elaphiti Islands or the island Lokrum – or you could stroll along the promenade Stradun and through countless romantic alleys in the historic old town of Dubrovnik. After you finished breakfast you will be transferred to the airport of Dubrovnik. If you like you are of course free to prolong your stay in a hotel of your choice. Guided city tours in Split and Dubrovnik: 36,- € p.P.